Although some people are still uncertain about chiropractic care, even the American Medical Association (AMA) suggests that adjustments should be tried prior to surgery--the one option that should be a last resort. Dr. Mark Holland has seen many back pain patients in our North County, St. Louis, MO office who have been suffering for years and who are worried that they might need an operation for their back pain. Dr. Mark Holland has had great success in helping patients recover and avoid risky back surgery, and the science backs up our experience. For example, in one study conducted on about 2,000 Washington State employees who suffered from a back injury while at work, more than 40% who saw a surgeon first following their injury found themselves having back surgery within three years. That compares to just 1.5% of the people who first sought treatment with chiropractic, proving that this non-invasive approach is extremely effective at keeping you out of the operating room. There are alternatives to risky medical procedures. Chiropractic is a proven effective and safe way to improve the function of your spine, which is the root cause of back pain. Dr. Mark Holland has helped many patients in North County, St. Louis, MO recover. Give our office a call today at (314) 867-8888 for an appointment. Goodman DM, Burke AE, Livingston. Low Back Pain. The Journal of the American Medical Association 2013;309(16);1738. We treat many car accident cases in in our North County, St. Louis, MO office, and a widespread symptom we see in our patients is headache. Let's look at the root cause of headache after a car accident and see how chiropractic can help. There are many different types of headache. Headache that's triggered by an auto collision, though, usually begins as tension or strain in the muscles of the neck. In a crash, the neck muscles can be damaged, which results in swelling and discomfort. These types of headache can be felt in different places, including the back of the head or even the forehead. Another common cause of pain after a crash that we see in our North County, St. Louis, MO office is cervicogenic headache, or headaches that start in injured ligaments of the neck. Ligament injury is quite common after a crash, and it's important to get care for this type of problem to protect against the development of scar tissue. Chiropractic is an effective way to treat headaches, including those caused by auto injuries. Your chiropractic doctor will help reduce the irritation and strain in your neck, which will help relieve the headache pain. Dr. Mark Holland is here in North County, St. Louis, MO to help you recover from headache. We've been helping patients since 2000 and we can probably help you, too. The first step is to get an accurate diagnosis to determine what's causing your pain and then we will determine an appropriate treatment approach. Call us today at (314) 867-8888 if you have questions or would like to make an appointment. We know how difficult chronic headache pain can be. Dr. Mark Holland and our staff have worked with many patients in our North County, St. Louis, MO chiropractic office, and we've had great success in helping people reduce their headache pain. A 2016 research study confirms what we see in our practice. In this study, the authors started with 110 patients who were suffering with headaches that originated in the cervical spine. 58 of these patients were given a series of neck adjustments; 52 were given some stretches and exercises. The treatment period for both groups was four weeks. The paper found that the patients who received cervical and thoracic spinal adjustments "experienced significantly greater reductions in headache intensity, disability, headache frequency, headache duration, and medication intake as compared to the group that received mobilization and exercise." The study also found that these outcomes were maintained at the three-month follow-up exam. Chiropractic is a safe and effective way to treat chronic headache pain, back pain, neck pain, and many other health conditions. If you're tired of suffering, give Dr. Mark Holland a call today at our North County, St. Louis, MO office at (314) 867-8888. We're here to help get you out of pain. Dunning JR, Butts R, Mourad F, Young I, et al. Upper cervical and upper thoracic manipulation versus mobilization and exercise in patients with cervicogenic headache: a multi-center randomized clinical trial. BMC Musculoskeletal Disorders 2016;17(1):64. Here in our North County, St. Louis, MO practice, Dr. Mark Holland has helped many people heal from back problems. If you suffer from back pain, you've probably been tempted to take some medications to relieve the discomfort. You should know that research indicates that chiropractic care is oftentimes a much healthier choice than drugs when it comes to relieving this particular type of problem. In a 2013 report published in the journal Spine researchers included 101 men and women who had experienced back pain for at least 48 hours. Each one was then designated to one of three groups. The first group, which was made up of 37 patients, received chiropractic care and a placebo of the drug diclofenac. The second group of 38 individuals received sham chiropractic adjustments and the real drug. The third group of 25 people acted as the control as those subjects engaged in sham chiropractic and also received the placebo, thus having no real care whatsoever. Both of the groups that received some type of treatment, whether through chiropractic or the medication, fared better than the control patients who had no actual care. However, when the two active groups were compared to one another, the patients who received chiropractic care had improvements that were "significantly better" than those who took the medications. Because chiropractic care is non-invasive and involves no use of medication, it helps promote healing without unwanted side effects. For example, anti-inflammatory drugs can result in ulcers, high blood pressure, and other serious health complications. Plus, the benefits of chiropractic last longer as it's designed to resolve the source of the problem, not just treat the symptoms. If you're ready to get help for your back pain naturally, then chiropractic care is for you. Schedule an appointment in our North County, St. Louis, MO office with Dr. Mark Holland today at (314) 867-8888. We'll help relieve your back pain in a healthy way! von Heymann WJ, Schloemer P, Timm J, Muehlbauer B. Spinal high-velocity low amplitude manipulation in acute nonspecific low back pain: a double-blind randomized controlled trial in comparison with diclofenac and placebo. Spine 2013;38(7):540-548. We treat many car accident cases in in our North County, St. Louis, MO office, and a widespread symptom we see in our patients is thoracic outlet syndrome. The key to recovering from thoracic outlet syndrome caused by a crash is to understand the root cause of the problem and how chiropractic care can help. The thoracic outlet is a bundle of nerves and blood vessels that pass through your neck and shoulder to your arm. These nerves and blood vessels don't have a lot of room, so they pass under and through the strong bands of muscles that support your head. In a collision, these muscles can be stretched and strained. If damaged, the muscles become inflamed and sore, and they can develop scar tissue which restricts movement and puts stress on the tissues of the thoracic outlet. Pressure on the nerves can cause tingling or numbness in the shoulder, elbow and even the wrist. Pressure on the blood vessels can also cause problems in the arm. Chiropractic adjustments can be an effective way to treat thoracic outlet syndrome, as Dr. Mark Holland will help improve mobility in your spine and restore normal nerve function in your neck and shoulder. Dr. Mark Holland has been helping patients in North County, St. Louis, MO since 2000, so we know what you're living with. We're here to help you, too. Dr. Mark Holland will first determine what's causing your pain and then work to restore your body to its natural functioning. Call us today at (314) 867-8888 if you have questions or would like to make an appointment. Many people suffer from headache pain, and tension headaches are a frequent problem in our busy world. Postural problems and stress are common sources of tension headaches, and ones that Dr. Mark Holland and the team here in our North County, St. Louis, MO chiropractic office have a lot of experience in treating. The scientific literature verifies our results: A 2016 study from Spain managed a group of 76 men and women with chronic tension headaches. The participants were divided into four treatment groups: 19 patients were treated with suboccipital inhibition (the doctor presses on the tight tissues at the top of the spine); 19 with chiropractic adjustments; 19 with both adjustments and suboccipital inhibition; and 19 received no treatment. 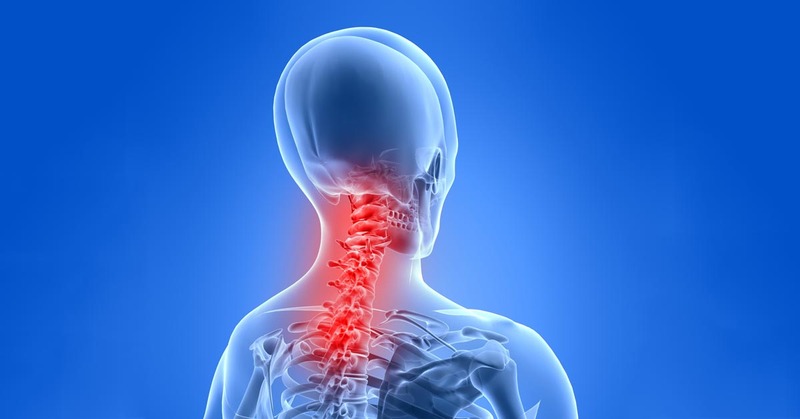 The researchers found that the spinal adjustments were effective at relieving pain, and that the best results were found when adjustments were combined with the suboccipital inhibition. When we get stressed out, the nerves and tissues in the neck can be disrupted, resulting in pain. Chiropractic works by getting rid of these stresses and restoring the normal nerve function to the area. If you live in North County, St. Louis, MO and are struggling with any kind of headache, we're here to help you get relief. Call Dr. Mark Holland today at (314) 867-8888 for an appointment or more information. Chiropractic is centered on the philosophy of aiding your body to naturally heal through spinal adjustments and lifestyle changes that stimulate overall health. For Dr. Mark Holland, this involves working to restore your body's natural functioning to avoid the need for medications or surgery. We notice that most of our North County, St. Louis, MO patients are happy to find a natural solution for their health issues. One advantage of chiropractic is that it helps people reduce or even eliminate the use of narcotics. Medications are oftentimes supplied to people who have back soreness. This is such a serious concern that the American Academy of Neurology (AAN) issued a news release stating that opioid (painkiller) risks overshadow the benefits when administered for back pain. Some of the most popular opiates, according to the National Institute on Drug Abuse, include hydrocodone (Vicodin), oxycodone (OxyContin and Percocet), morphine, and codeine. Figures supplied by the AAN mention the fact that about 50% of the patients taking these drugs for a period of three months are still dependent on them five years later. This can further complicate the difficulty of back pain and recovery, especially if an opiate dependency occurs. Contrast that to chiropractic care which involves natural healing and the benefits are clear. While a medication might be helpful at briefly reducing the symptoms of a health issue, it's not a long-term solution to the problem. A drug won't mend your damaged spine; it will only conceal the pain. Dr. Mark Holland will first examine you to get to the source of your back pain and then work with you to eliminate the spinal interference -- without any risky medications. If you're ready to get out of pain, naturally, give our North County, St. Louis, MO office a call at (314) 867-8888 to make an appointment with Dr. Mark Holland. Risk of opioids outweigh benefits for headache, low back pain, other conditions. American Academy of Neurology;September 29, 2014. Back Pain is a common problem after a car accident, and it's something that Dr. Mark Holland sees frequently in our North County, St. Louis, MO office. Chiropractic care is a great way to treat back pain. 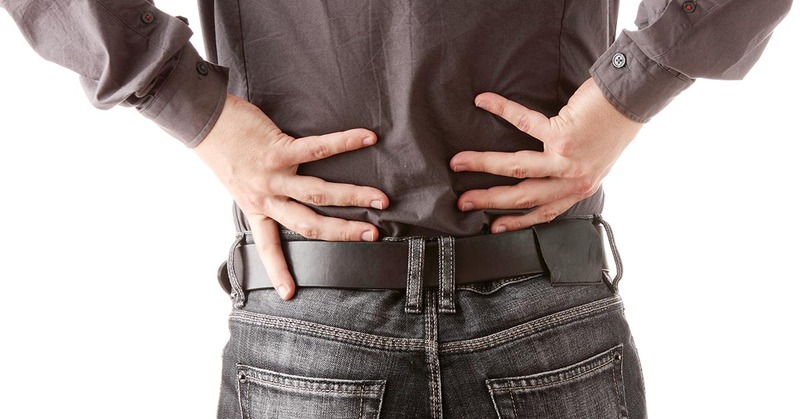 Let's look at how back pain is caused by a crash and how Dr. Mark Holland can help you. During a rear-end motor vehicle accident, your car and car seat are rapidly accelerated forward against your body. Since car seats don't perfectly align with the curve of your spine, the seat can put inconsistent pressure on your lower back. This can cause some of your spinal vertebrae to move in one direction while an adjacent vertebrae might move in another direction. This differential motion can sprain or strain the ligaments that hold your spine together. This kind of injury can cause chronic back pain if not treated right away. Thankfully, chiropractic is one of the most effective ways to treat back pain. Dr. Mark Holland is here in North County, St. Louis, MO to help you recover from back pain. We've been helping patients since 2000 and we can probably help you, too. The first step is to get an accurate diagnosis to determine what's causing your symptoms and then we will determine an appropriate treatment strategy. Give our office a call today at (314) 867-8888 to make an appointment. 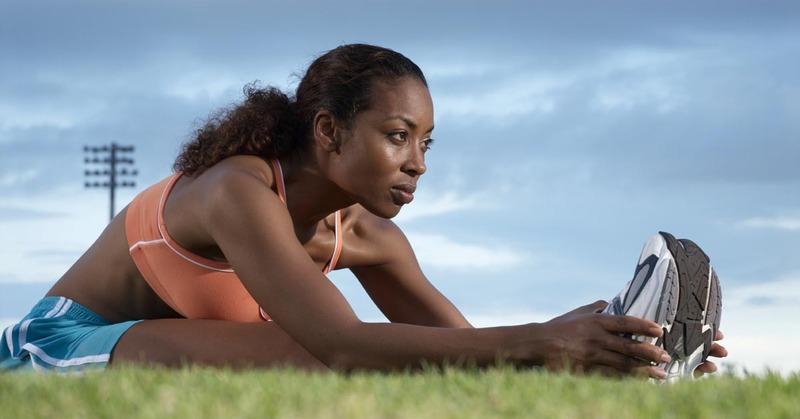 When performing activities that require a lot of lower body motion, like football, soccer, and basketball, it's not at all uncommon to suffer some type of injury to your lower extremities. Between pulled hamstrings, sprained ankles, knee injuries, and more, many players have found themselves out of commission. Dr. Mark Holland has seen all of these problems in our North County, St. Louis, MO patients. Fortunately, chiropractic can help prevent some of these injuries from developing and research proves it. Dr. Mark Holland keeps current with all of the latest scientific research, and in a study published in BMC Musculoskeletal Disorders, researchers from Macquarie University in Australia studied 59 semi-elite Australian Rules football players. Roughly one-half were placed in a control group and the others were put in a therapy group that received sports chiropractic care at regular intervals. During the first six weeks, this meant engaging in care once per week. The following three months consisted of an adjustment every two weeks before decreasing those to one visit monthly for the final three months of the study. Researchers noted that there was a "significant" difference in the number of leg strains the players received in the treatment group when compared to the control. In addition, they noticed that the subjects who engaged in chiropractic also had fewer weeks of missed practice and games as a result of non-contact knee injuries. This led them to conclude that sports chiropractic treatment should be added to "the current best practice management." Every major sports organization in the United States and the US Olympic Team has chiropractors on staff for their players, because they know that chiropractic really works. If you live near our office in North County, St. Louis, MO and would like to see if Dr. Mark Holland can help you boost your performance or reduce sports injuries, give our office a call today at (314) 867-8888 for an appointment. If you're struggling with severe pain, Dr. Mark Holland and our staff are here to help you heal. Give our North County, St. Louis, MO office a call today at (314) 867-8888 for an appointment today. Hoskins W, Pollard H. The effect of a sports chiropractic manual therapy intervention on the prevention of back pain, hamstring and lower limb injuries in semi-elite Australian rules footballers: a randomized controlled trial. BMC Musculoskeletal Disorders 2010;11(64). In our North County, St. Louis, MO practice, it's common for us to see people suffering with sciatic nerve pain, and Dr. Mark Holland has helped many of them improve with chiropractic. What makes chiropractic so helpful to those who suffer with this condition? First, it reduces their recovery time and a Norwegian research study confirms it. In the article, which took place in a Norwegian hospital's orthopedic department, the authors looked at 44 patients who reported abrupt low back pain that was diagnosed as acute sciatica. The individuals were all treated by a chiropractor, with the mean follow-up being two years after treatment. The authors found that all but two patients returned to work after receiving chiropractic adjustments, which is a 95% success rate. Furthermore, the average length of time that the individuals spent off work "was reduced by two thirds as compared with that associated with conventional medical treatment." Considering that the Bureau of Labor Statistics reports that over 170,000 workdays were lost in 2013 due to employees dealing with back or spine-related issues, that is almost 112,500 work days that could potentially be recovered each and every year solely by receiving chiropractic care. Not only would that increase productivity, but it could also reduce costs to businesses and employees from lost work. If you live in North County, St. Louis, MO and you suffer with sciatica pain, Dr. Mark Holland is here to help. Give us a call at (314) 867-8888 and we'll work with you to find the source of your sciatic pain and get you back on the road to recovery.